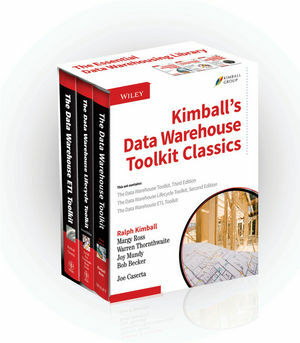 The Data Warehouse Toolkit, 3rd Edition (9781118530801) Ralph Kimball invented a data warehousing technique called “dimensional modeling” and popularized it in his first Wiley book, The Data Warehouse Toolkit. Since this book was first published in 1996, dimensional modeling has become the most widely accepted technique for data warehouse design. Over the past 10 years, Kimball has improved on his earlier techniques and created many new ones. In this 3rd edition, he will provide a comprehensive collection of all of these techniques, from basic to advanced.